Home / Ideas/ Inspiration / Inspiration / Some Top Destination Wedding Planners In India For Your Wedding Day! Some Top Destination Wedding Planners In India For Your Wedding Day! As much fun as they are, destination weddings can get super complicated. I’m talking about accommodation for 200 guests, negotiating hotel rates, planning the theme, booking vendors, air tickets, ground transport, decor, wedding itinerary and creating a customised budget. Sigh! And that is just to name a few.It just adds to the pressure of other weddingy things you need to take care of, after all, it’s your wedding and you don’t wanna be too overwhelmed. 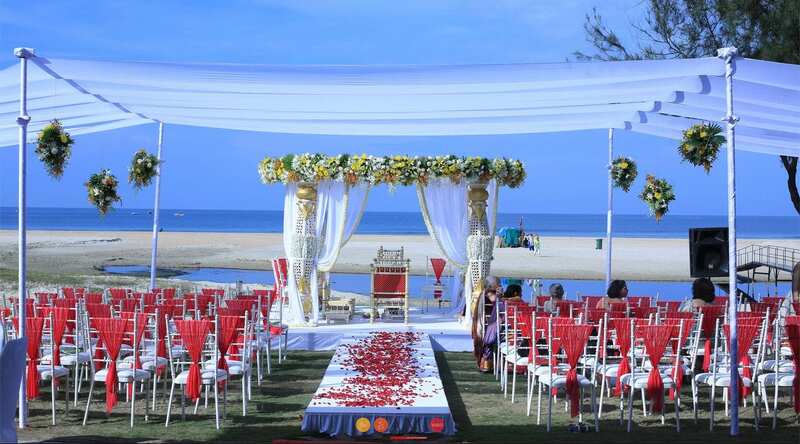 Turning to a professional in such a case is your best bet.So here are some of the best destination wedding planners in India that are willing to take your stress and plan the most lovely exotic destination wedding which you truly deserve. One of the best exotic destination wedding planners in India around, Regal Weddings is the go-to planner for your extravagant destination wedding! From getting hitched the royal way in Rajasthan to summer romance wedding in Goa, you can’t go wrong while choosing them for your big day. They have an impressive experience of over 12 years and a wide range of services keeping in mind the value for money. They follow the industry standard of charging anything between 10-12% of the wedding budget for an entire wedding depending upon the services extended, role & responsibilities, the size of gathering etc. Though they are happy to work as a one-stop solution. For Weddings with a budget less than Rupees 60 lakh, they extend all-inclusive packages or charge a flat fee. Whether you’re looking for a small beach wedding or a grand royal wedding, the Wedding Co takes care of your desires and turns them into the dream wedding you wanted. A budget-friendly event without any compromise on details is the Wedding Co for you. As mentioned on their website, they work with you right with the proposal planning to honeymoon planning. From Goa to Kerala and Turkey to Malaysia, just name the place and Allure events have got you covered. They are based out of New Delhi and are all primed to organize your dream wedding. They offer complete service in planning, designing, coordinating and structuring the event. All you have to do is come up with a destination and then leave the rest to these professionals for making the event a huge success! Aiming to make your day the most special one and unique, let Marry me take all your stress away by handling all the wedding related things with ease. They’re committed to making memorable moments by blending Indian tradition with contemporary touches. What’s even better? Their services are customized to suit your budget thus ensuring your wedding is all unique and not punching holes in your wallet. Now this one is for the Rajasthan-craved couple who want their wedding to be regal and grand in every aspect! They do plan Goa weddings too but we recommend this for its royal charm, hence Rajasthan. All the knowledge and experience is there to plan the most utopian wedding for you. So these were the top five picks for destination wedding planners in India, according to me. Don’t hesitate to let us know about your personal fav planner in the comments below!